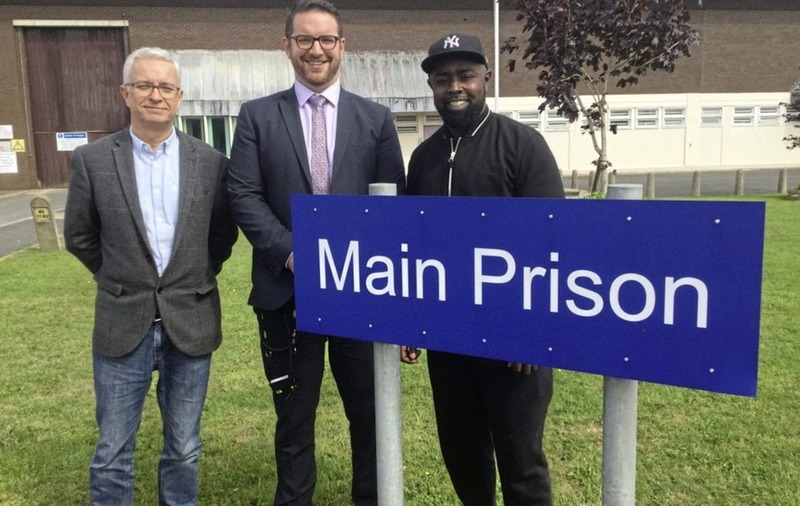 A LONDON actor who swapped a life of crime for life on the stage has visited prisoners in Northern Ireland to talk to them about his own experience. Michael Balogun, who is a Royal Academy of Dramatic Art (RADA) actor, served nine years in prison where he turned to acting and gained a place at the famous drama school which counts Kenneth Branagh, Tom Hiddleston and Eddie Redmayne among its graduates. During the visit to Northern Ireland, which is part of the Lyric Theatre's creative learning scheme, Michael has been taking part in workshops and discussions with student actors, as well as prisoners at Maghaberry and in Hydebank Wood College. lives if they are determined to do so. "He is a huge inspiration and we are delighted that he has taken time to support prisoners. He can relate to their experiences. "Ultimately it is our role to support people to change; this has been a good step towards that." Philip Crawford, Head of Creative Learning at the Lyric, said: "There is clear evidence to suggest that people in custody who get involved with the Arts are much less likely to re-offend. With his charisma and credibility, Michael is certain to inspire others with his remarkable story". Michael Balogun said acting, drama and theatre had "literally changed my life". "When I discovered what the Lyric were doing in Northern Ireland with young offenders and others I was delighted to get involved," he said.